Ascent Business has a range of Zoho CRM Consultant services available. Our consultants come from a wide range of backgrounds and have experience with working with both large FTSE corporations to small SMEs and sole traders. We are subject matter experts in a range of topics and have experience with department specific tools and systems, including, marketing campaign management and email marketing, financial packages, stock management and inventory systems and much more. We also have experience of other CRM systems including on-premise and cloud based. These include Salesforce, Microsoft Dynamics, Sugar CRM, Sage CRM etc. 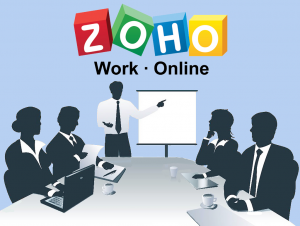 This has allowed us to successfully migrate many other CRM systems to Zoho. Contact us now to talk about your requirements.